Metcheck.com - Weather News - Turning Rather Cloudy. A battle is currently taking place between low pressure to the northwest of the country and high pressure trying to build in from the south and southwest with the outcome across Britain and Ireland for the next couple of days being that north-western regions are cloudier, cooler and damper at times whilst the further south and east that you are the drier, sunnier and warmer that it will be. Although it is a dry and bright start to Wednesday across many parts of England and Wales, for much of Scotland, Northern Ireland and the Republic of Ireland there is more in the way of cloud and breeze around. 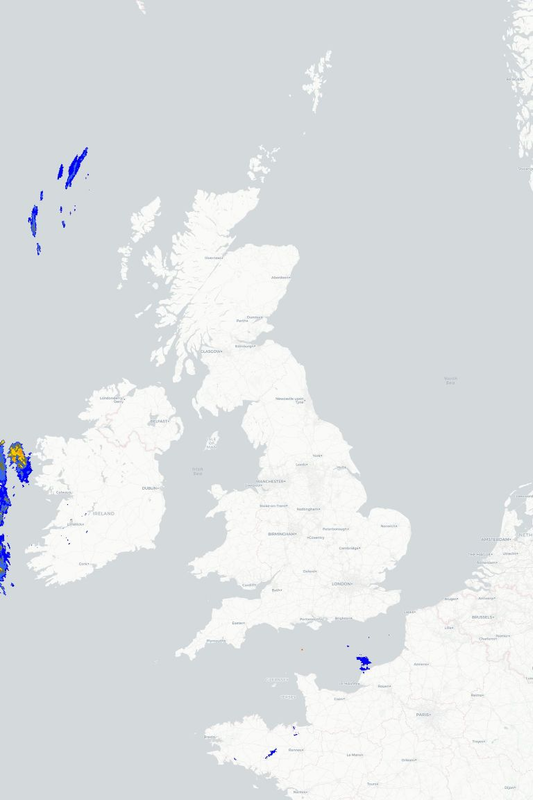 That cloud will thicken up as outbreaks of rain move in across much of Ireland this morning before spreading into much of Northern Ireland and Scotland by this afternoon, the rain quite heavy at times, especially out towards the west. 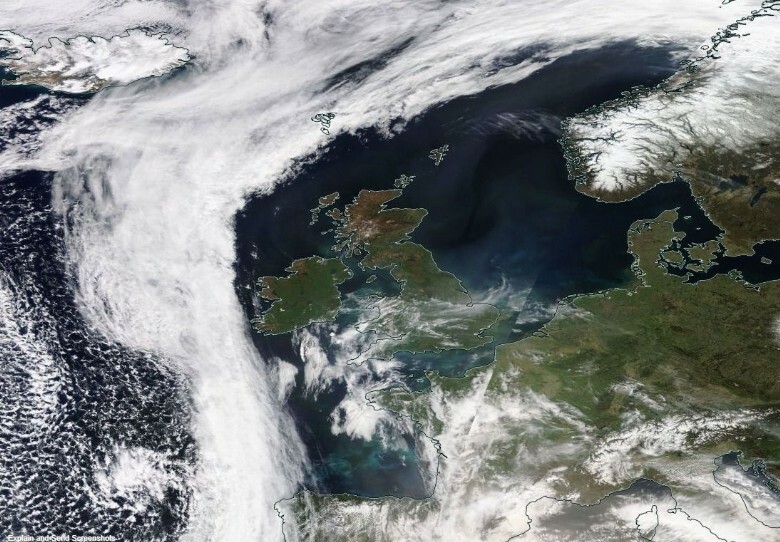 Meanwhile many parts of England and Wales will remain dry, although the far northwest may see a little rain or drizzle developing, but it will turn increasingly cloudy for many with the best of the sunshine becoming confined to the southeast. The high temperatures will be in the brighter southeast with maximums of 23°C to 26°C, but it will be progressively cooler the further north and west that you are. Further spells of rain continue across Scotland, Northern Ireland and the Republic of Ireland tonight but they will tend to become more patchy later in the night. Elsewhere and it will be a dry night with variable and sometimes large amounts of cloud meaning that temperatures will hold up in the mid-teens for many. 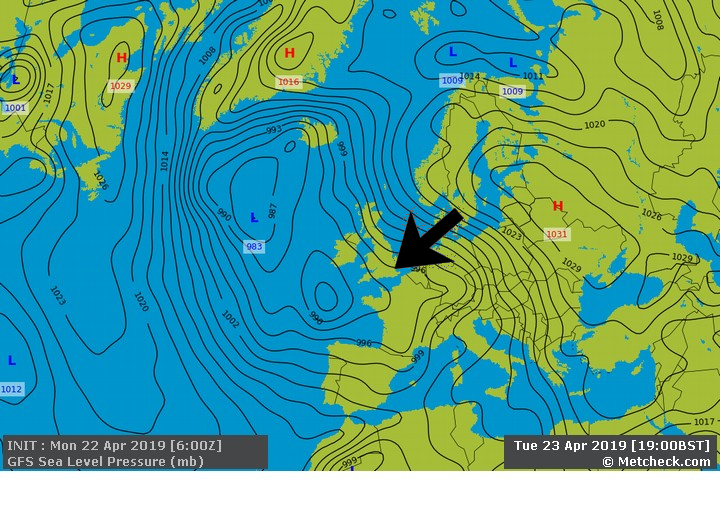 Looking ahead to tomorrow and not a huge amount of change is expected with the southeast remaining driest and warmest whilst another pulse of rain affects the north and west.